Your search returned 192 matching properties. especially for peace and quiet.. Also a very good location. Beautiful cottage in a very quiet location, apart from the peacock! Very well equipped and very clean. Lovely village pubs in Itteringham and Heydon. Would recommend for a relaxing chilled get away. Rustic cottage in quiet rural setting, with many interesting places, excellent cafes and pubs nearby. Perfect location – very quiet but within walking distance of Blickling Hall, and less than half-an-hour from the seaside. Cosy and comfy, with great views from the dining table (with many wildlife visitors – peacock, partridges, muntjac, barn owl, cattle, etc etc). Small but perfectly formed kitchen, lovely relaxing living room with a superb wood-burner (and unlimited fuel in the outhouse). Gorgeous quirky upstairs bedroom – and another lovely bedroom downstairs. The owners are always very helpful – and a mine of information about the area. This was our fourth stay. And it won't be our last. What lovely feedback, thank you. We look forward to booking your fifth visit to Acorn Cottage. We thoroughly enjoyed our stay at Acorn Cottage. It was spotlessly clean and so pretty. A rural idyll! We would love to return in the Summer. We had a problem with an animals in the roof between the tiles and the ceiling that kept us awake at night. We nearly abandoned our holiday after three nights. The wood supply was almost exhausted. Knives were blunt. There was only enough crockery for one meal for two so it was necessary to use the dishwasher at least twice a day. The lighting in the main room was too dim to read. Plenty of hot water and heating very good. No firelighters provided. Welcome basket rather mean. We informed the owners of the roof/ceiling problem. Thank you for your feedback. I am so sorry about the animal in the roof which has now been dealt with by the owners. Regarding the crockery there are four of everything in the kitchen and the owners will check the sharpness of the knives. There are also four table lights as well as little spot lights on the beams in the sitting room so we do feel there is enough light there. beautiful cottage, very well equipped. Lovely countryside. Adored the cows, partridges and pheasants that were frequent visitors. The welcome basket of edibles and basics in fridge were a godsend - especially as we arrived late in the evening. Beautiful garden too. Thank you for your lovely review of Acorn Cottage and the surrounding countryside. Excellent cottage in rural situation. Very relaxing. Slightly 'quirky' accommodation, especially for anyone over 6ft tall! After one bang-on-head we found a system to protect from further incident! We hope to return on another occasion. Lovely setting. Well maintained and equipped. Good information. Very comfortable and charming cottage. Cottage was clean and the downstairs was beautiful. We did not appreciate the half pack of butter left in the butter dish nor the small jars of muesli, tea and coffee. It would be more hygenic if they were in unopened packages. Presenting them like this felt like a money saving exercise which it clearly was. As we were there over new year it meant fewer shops were open and we were rationing butter towards then end. I do not think a whole pack of butter and one of cereal is too great an expectation when such a feature is made of the welcome hamper. Thank you for taking the time to give us your feedback and we were pleased to note there was much about your stay which met your expectations. The butter you refer to was freshly bought on the day of your arrival but as the housekeeper was putting it in the fridge, some slight damage to the packaging was noted. As it was too late to purchase a new one, the housekeeper removed the butter, cut a small slice off and put it in the butter dish. The muesli, tea and coffee is fresh and in addition the owner supplies all the items you would normally expect in our hampers plus Made in Norfolk toiletries.We do hope that you are happy with the explanation and that you will return to stay with Rural Retreats on a future occasion. quality of food package was only 'good'. Clean, beautiful setting and exactly as stated. Absolute Heaven. I really needed a little getaway that was away from all the hustle and bustle and work and family needs and pets needs. I had a holiday abroad last year and also a few days in May and didn't feel refreshed by either. So forget the flying and the airports as Norfolk is so beautiful. The Cottage had everything I needed and is a very special peaceful place. I love to cook so stocked up and stayed at the cottage for my whole holiday even though there are so many fabulous things to do locally. On the day I booked out I headed for the Coast, saw the seals on a boat trip bought seafood own the way to sitting on the beach to eat my picnic. Fabulous. I am very much rested and I will return and maybe allow my husband to come along too. Quality of the whole property and everything in it decor and kitchen utensils etc are superb. Only problem was the DVD player kept breaking down which i suppose is an issue that the owners are not to know about easily but I suggest Sony DVD player is available from supermarkets for around £25 and is excellent. Excellent cottage, cosy, comfortable and beautiful location. It would help if the housekeeper /owner or rep was on hand on arrival. WiFi instructions could have been clearer. Heating clock was adrift with timings. Logs for the wood burner only just lasted, we had lovely days but very cold nights and mornings so it was used. My apologies forgot to empty the dishwasher on departure. Thank you for your review. It is not the norm for a housekeeper to meet guests for their arrival. Only perhaps where the property might be in a location that does not allow keysafes to be fitted and therefore requires a manual key handover. Instructions for the Wi-fi are in the Welcome folder and the passcode is on the underside of the router.As stated on our website and brochure, we are unable to guarantee the availability or strength of mobile phone signals, Wifi and Broadband in our properties.The owner has changed the clock on the heating programmer to summertime. Really clean, really good facilities. 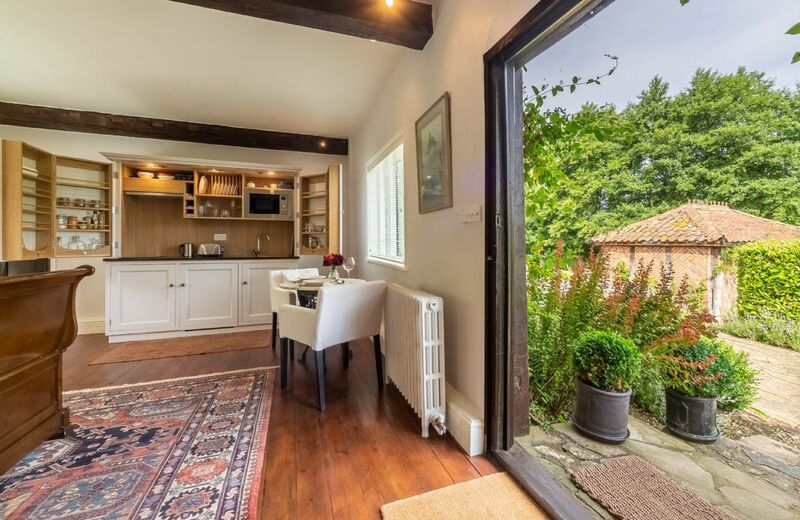 Ideal for a romantic break, this beautifully renovated cottage is on the edge of the Blickling Hall estate on the outskirts of Oulton village and is set in its own informal garden and benefits from a woodburning stove. The nearby market town of Aylsham provides all facilities and the coastal town of Holt can be reached within 20 minutes. Perfect location to relax with lots of walking in the nearby woods, and quiet roads to explore all the beautiful tourist spots nearby by car. The property is beautifully decorated and furnished and is very comfortable. Dog friendly with lots of room for the dog to roam was a big benefit. The Welcome basket was just perfect. The hosts were friendly, approachable and very helpful in suggesting places to visit. The Highland Shooting Centre was a bonus. We will certainly try to visit again. Stunning location, beautiful accommodation but above all fantastic hosts! Very welcoming, thoughtful, friendly and accommodating. We met super kind and helpful hosts and stayed in a very lovely home. The house is well equipped, looks nice, great beds and with lovely little details. For us there was one painpoint and its for rural retreats, as we explizitly asked about that before booking. As we are sensitive to noise, we had a problem sleeping with the heating machinery kicking in with a heavy humming at night every 45 min for about 10 seconds. That aside, the hosts did their best to make our stay super comfortable. The cottage was very comfortable and well provisioned. However, the photograph shown in the brochure proved misleading regarding the view from the property, which was very disappointing – a gas tank in front of a rural shed, with a background of felled trees. Refrigerator space was limited and freezer space restricted to a small 'borrowed' shelf in an adjacent building. The setting was very remote, with limited opportunities for walking directly from the property and miles from anywhere. This was our second stay at Am Bathach as we enjoyed our break there earlier in the year. We already plan to stay there again next year. The standard of accommodation, location and hospitality of the owners is exceptional. We're so glad that you enjoyed Am Bathach again, and to hear that you'd like to return is wonderful. It is in such a unique position and the owners really want their guests to enjoy their time there. Thank you for your continued commitment. Lovely property, quiet location and dog friendly.Friendly owners to welcome you with home baking and lots of luxury food items.I would have preferred a fenced in garden for the dog. I didn't like the plastic bowls to eat out of! I would have liked a measuring jug and a better grater in the kitchen! Hope this helpful. Very clean and comfortable, friendly owners without being intrusive. More good feedback for Am Bathach. Thank you very much. Perfect location if you like to get away from it all but easily accessible by car to beautiful tourist spots nearby. Property is beautifully decorated and furnished. Everything you need for a break is thought of by the Munro family, so all you need to take is a change of clothes. Very comfortable and cosy accommodation. Dog friendly was a bonus for us. Thank you for your fantastic review of Am Bathach. We are delighted you had a wonderful stay. It was absolutely perfect - a little gem in a beautiful setting. The owner was extremely helpful. What a wonderful review of Am Bathach. We are so glad it was perfect for you. If you're going to run a self-catering cottage this is how it should be done. Warm welcome, clear tour of the property telling us what we needed to work all the equipment. Fully equipped with everything we could possibly need. Fresh bread, a homemade cake, food for the first night, milk in the fridge etc. Fresh cut flowers even. Possibly the best self-catering experience we've ever had. Thank you for taking the time to review your holiday at Am Bathach. It sounds as though you had a wonderful time there in the Scottish Highlands. The owners have put a lot of thought and care into the property and really want their guests to have a memorable stay. We look forward to welcoming you back again. Service was excellent and the location was fantastic! Could not fault the Munro family. They thought of everything and more. Very friendly, hospitable and it was if we were neighbours not lodgers. Great cottage - superb housekeeping service. Lovely place, ideally located between east, west and north coasts for touring. Lovely couple who own it, very friendly, informative and helpful, plus the animals on the croft were hilarious! Lovely hosts, helpful and attentive but not intrusive. Freshly baked cake in the kitchen when we arrived, hamper of goodies, home laid eggs. Every need catered for. High standard of conversion and decoration to the property. Clean and cozy. Very rural, but that's what we wanted. Central for exploring north, east and west coasts. Would absolutely return, and recommend to others. Am Bathach is a stunning Highland hideaway. Large comfortable beds, a well equipped kitchen and tasteful, comfortable furnishings throughout. The hosts are a delightful, friendly and helpful couple and there were many thoughtful and kind touches to give us a special week away. 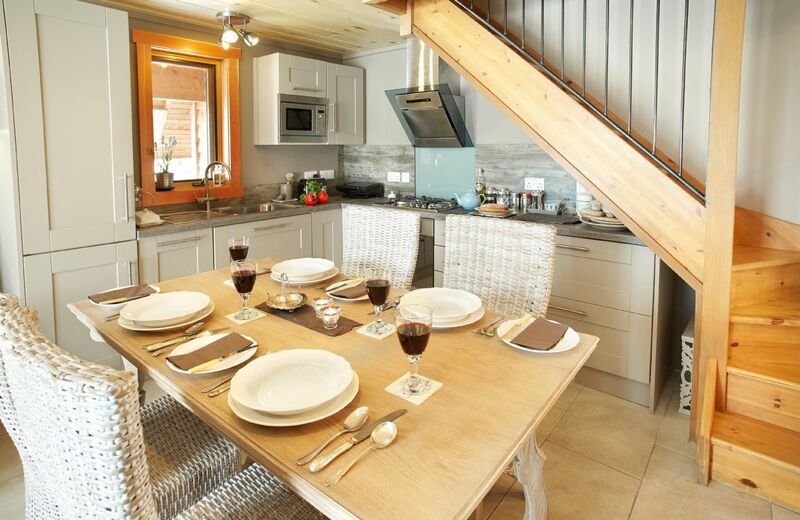 Very well presented and equipped cottage. Could use an ensuite upstairs to make it perfect. Situated in the very heart of Sutherland, the most northerly county on the British mainland and a world renowned area for its stunning scenery, wildlife, food and drink, Am Bathach is part of a traditional working croft with Hebridean sheep grazing on the heather hills. 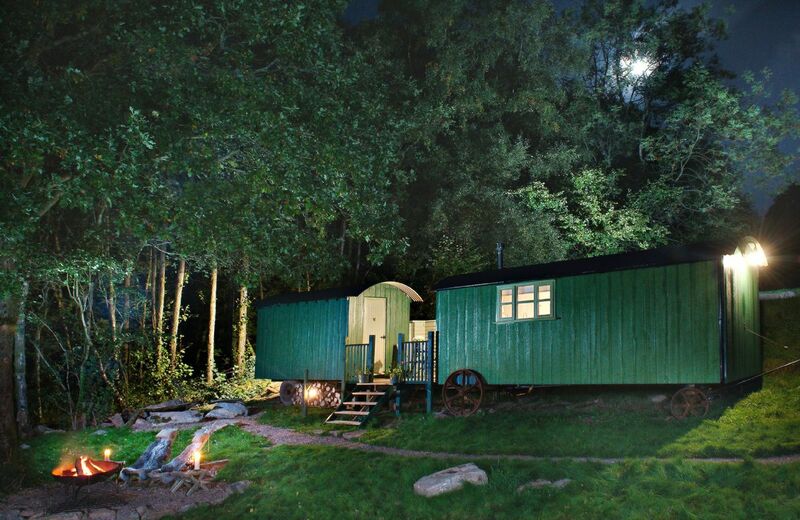 Anne’s Hut is actually two luxurious shepherd’s huts linked by a decking patio area, set in a green and totally secluded meadow and on the edge of a natural wood. Situated in the vicinity of the ancient settlement of Penterry, it really is the perfect retreat for two. Lovely cottage, in an area full of breathtaking lovely walks. Very well equipped and great welcome hamper. Everything from our welcome, the excellent hamper, the quality and comfort of the accomodation was excellent, So much care had been taken to make it all an ideal retreat it was a real pleasure to stay in the cottage. We were terribly sad to leave it. Warm welcome. Spotlessly clean. Well equipped. Cottage very comfortable and well furnished. Owners lived near by and were very helpful and friendly. Welcome pack superb. The stable conversion has been beautifully done and is very comfortable. The village and surrounding countryside are lovely and the owners are very friendly and helpful. Modern furnishings, modern kitchen and bathroom. Very thoughtfully equipped. Very generous hamper. Excellent location, great accommodation and very friendly reception. Welcome hamper outstanding. Very convenient for local restaurants and wedding parties. Had a most relaxing stay in a cottage where the owners had gone the extra mile.....have re-booked for next year! The lovely reviews for Applewood continue and we are so pleased that you have enjoyed your stay so much that you have booked again. Thank you for your recommendation. The property was beautiful and just what we anticipated. Exceptionally clean and very well furnished and equipped. The owners were very welcoming and nearby if you needed anything. Also the Welcome pack was just right with quality items and some local bread and cheeses, I'm a convert to Yorkshire Blue. Excellent quality conversion in a lovely garden. Good location in a pleasant village. Super 'hamper' on arrival and on site hosts very pleasant and helpful. The kitchen and bedroom areas were fine but the lounge area only has skylight windows, so no views out. Cottage was an eye opener all rooms well equipped and spacious, the welcome hamper was very welcomed . The host,s are just Great go there you will not be disappointed. The best RR cottage yet. Top of RR standards, with Phil & Anne great attentive owners. Well designed and equipped with charming owners in a good location for us and with 2 super restaurants nearby. Property was only recently refurbished but was overall of a high standard and well equipped. Welcome basket was excellent as was the village and surrounding countryside. WIFI would be a bonus. From the owner ~ we are desperately trying to get broadband to the cottage, but have been bounced between BT and Openreach for last 6 weeks despite hours on the phone and many emails. Update ~ We are delighted to report that Applewood now has WIFI. This is a newly completed and perfectly presented property with everything needed for a perfect stay. One of the very best we have encountered, reflecting the loving care that the most helpful owners have put into it. Thoroughly recommended. Applewood is a lovely new addition to our portfolio and we are really pleased that you liked it so much. Beautiful accommodation and gardens. Attention to detail by the owners of this property was exceptional. Hamper provided was way beyond our expectations. Quality goods which were very much appreciated. Applewood is a pretty one bedroom cottage situated in the village of Harome within walking distance of the Michelin starred Star Inn and nestled between the North Yorkshire Moors National Park and the Howardian Hills, a designated Area of Outstanding Natural Beauty. 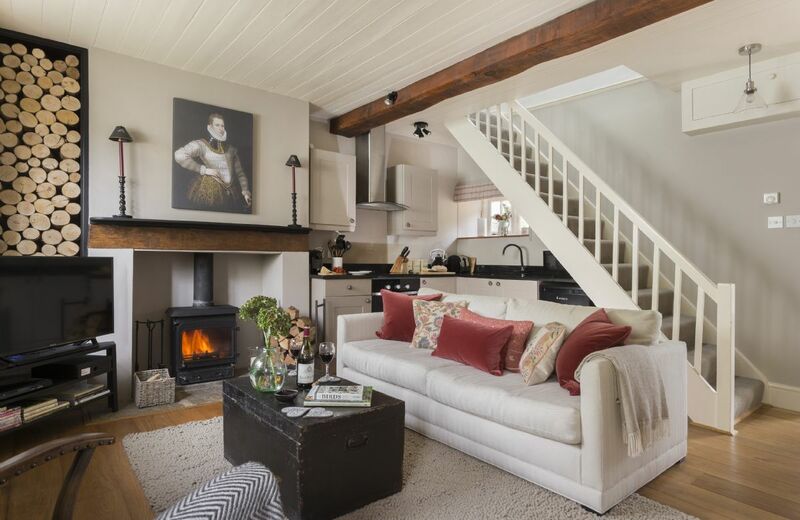 This charming cottage is decorated to a high standard, with period furnishings and wood burning stove. It features sitting area, kitchen area, twin bedroom and bathroom. It has a small outside patio. A great location, and a studio that had it all. Easy to arrive and everything you would expect from a Rural Retreats cottage. This is an idyllic cottage, ideal for a rural getaway, yet a few minutes walk from an ancient hostelry with good pub food and excellent beer. We were extremely comfortable and loved the layout and ambience of the cottage. Our on-site hosts were considerate and we had private access to a wonderful garden. The location was beautiful and the accommodation was exceptional. The owners were there to greet us and show us where everything was. The bed was extremely comfortable and was made up with pure linen bedding,on the hot hot nights we were having they were wonderful......what more can I say! A gardeners paradise, the thatched studio was delightful large, spacious and tastefully well equipped. Perfect accommodation for couple. Beautiful gardens, very accommodating and friendly owners. Perfectly located in a most beautiful village in a lovely part of the country. Couldn’t ask for more! A charming cottage in a beautiful location. We were made to feel very welcome. Nice little added touches included chocolate Easter bunnies! We had a very relaxing weekend totally distressed. Situated on one of Suffolk's prettiest and quaintest villages, this beautifully converted studio is the perfect place for a romantic treat, a relaxing break or an indulgent base from which to explore the local area. Excellent country cottage in a lovely location. Alan couldn’t have been more helpful keeping us upto date with the weather etc. Thanks again. This cottage was a credit to Rural retreats. Very friendly host.Generous hamper and first class fittings throughout. The location is perfect for a short stay in this beautiful part of Northumberland. Sorry but we cannot find a fault ! 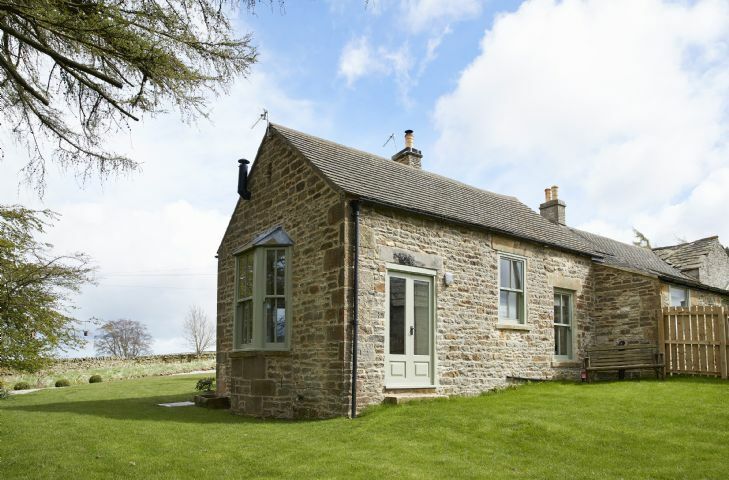 Beautifully appointed cottage in lovely part of Northumberland. Had a great few days there - the only downside was the sloping ceilings which caught us out a few times. Highly recommended. The cottage had instant appeal. The position is second to none. The only Down side was that it only had a bath and no shower. It was very tastefully furnished and very comfortable. Superb property, wonderful area for touring, walking and more, Alan and Steph are the most excellent hosts. Thank you for all. Can’t wait to return. A lovely cottage in a splendid spot, with views and birds tweeting away in the garden. It is well equipped and very peaceful, comfortable and clean.There are lovely walks close by and a nice pub and tea room just down the road. Beautiful...Just beautiful! Highly recommended and will be visiting again. We had a lovely 3 night stay at Bale Hill Cottage. 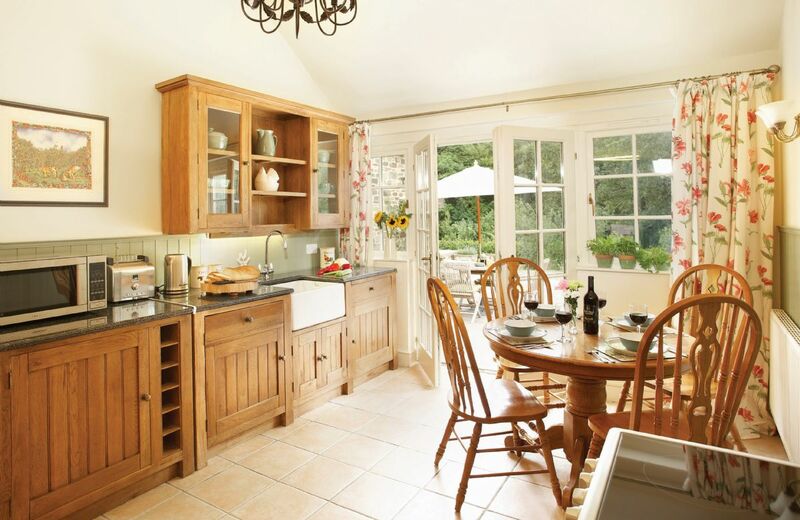 The Cottage itself is beautifully decorated and equipped throughout and spotlessly clean. The location is stunning, peaceful with amazing views all round. The owners were friendly, informative and happy to help if you needed anything during your stay. Another special review for our little gem Bale Hill Cottage. A delightful cottage in a delightful setting. Just what we were looking for. Quiet, comfortable and well equipped. Thank you for your lovely review. We are delighted that Bale Hill Cottage was just what you were looking for. Bale Hill Cottage is a superbly renovated stone property with a high specification, retaining its original charm as a farm worker's cottage. The cottage commands an impressive location, situated in an idyllic secluded position in the heart of the North East Pennines Area of Outstanding Natural Beauty. It was just what we both needed. Your 'barn' was excellent to recover our sanity and give us a change we so needed. Our few excursions out were also a delight. The only challenge we had was finding the switches. I have never seen so many but it was a good game finding the appropriate one but I remain baffled by the front door light. For future visitors it would be useful to have some indication of which we need for what - but it was fun finding out. We left in a mad rush and forgot to clear out the remnants in the fridge. Sorry, but we hope they were some use to someone. The perfect venue for a break away from it all. Everything we needed was provided in a beautiful countryside location. 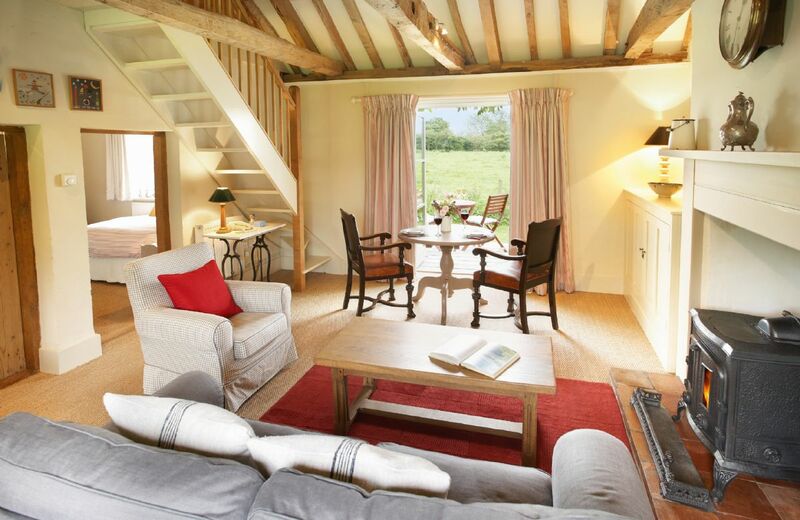 The Barn is superbly laid out and luxuriously equipped, with lovely walks from the front door. Friendly owners were available if required and we thoroughly enjoyed the home made cake on arrival! Highly recommended! Lovely tranquil setting and lovely people, great walks. The accommodation was first class, clean and cosy. Beautiful views, extremely modern decoration, all appliances are provided and it is very homely. There is a lovely log burner which is prepared ready for lighting on a vpsy evening. Cannit thank Jane and David enough for their hospitality. They were available for advice on what to do, where to walk and even what to eat. A lovely touch was the hamper of goods we had on arrival which included milk,eggs bread and hoemmade muffins. We cannot wait to return! 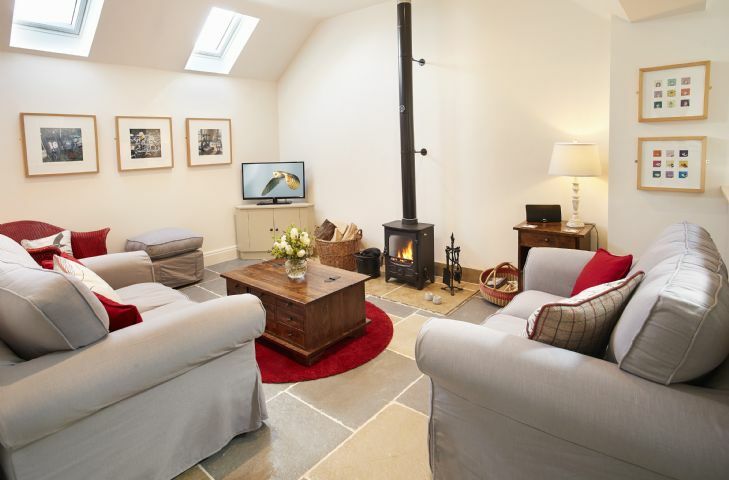 A beautiful well equipped and comfortable barn conversion which met all our needs for a festive break. One of the best holiday 'cottages' we have had. Peaceful and quiet with lovely walks from the door. Owner friendly but unobtrusive. We hope to return. 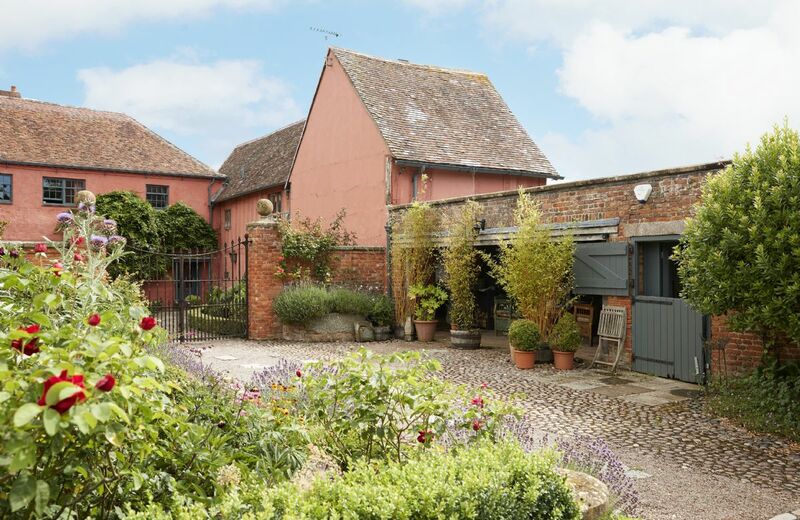 Barn at Cullis Court has wonderful reviews and this is no exception. I am delighted that you had such a lovely stay over Christmas and thank you for leaving your feedback. 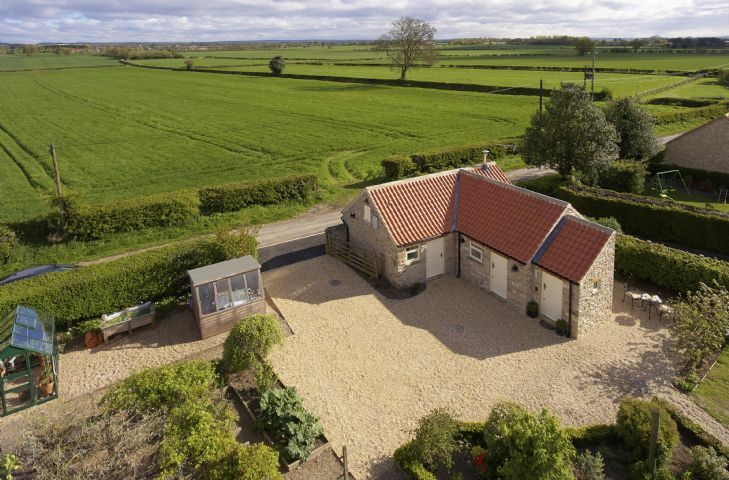 This is a beautifully converted barn very comfortable with great views of the surrounding countryside. Well placed for Hereford and Ludlow. Beautifully appointed. Good location. Pleasing service. Lovely place, finished to high level. Very comfortable and a nice selection of treats were provided upon arrival, making for a warm welcome. Difficult to fault the place. What a lovely review, thank you. 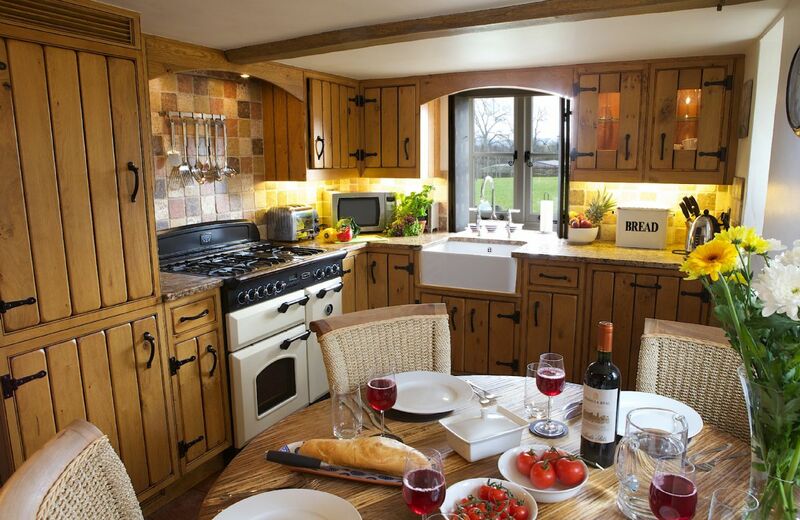 The owners have put a lot of thought into the barn and really want their guests to have a memorable holiday. We look forward to welcoming you back again. What lovely feedback. Thank you so much. Thank you for your review. we are delighted that you were pleased with the Barn at Cullis Croft. Lovely property with everything we needed. The welcome hamper was great, the property clean and well furnished with lovely toiletries and linen. The hamper (while most welcome) didn't contain all items on the list, but the owner was very friendly and helpful, the property immaculate and beautifully presented. This delightful barn is nestled on the side of a hill and sits directly upon the historic Mortimer Trail, only twenty minutes by car to the Welsh Border. Spectacular, panoramic views greet you from all sides of the property, with acres of ancient woodland and many lovely walks to enjoy. Location , property and furnishing exceeded every expectation .Fantastic property fabulous location on a working river , lovely to sit watching river traffic .Cannot wait to return . Beautiful property - excellent condition, well stocked! We will be back!!! Lovely apartment overlooking the estuary. Well equipped and near the shops and eateries of Fowey - and the car parlk. Fowey is a great base to explore the stunning Cornwall coastsl paths. Lovely position overlooking the river, some updating now needs to take place. The balcony needs varnishing, new bedding is essential. The WiFi is only adequate and we lost connection as well. Thank you for your review. I am delighted that you feel Barnacles is a good place to stay. Re the wifi - the property has the best updated wi-fi router, but due the coastal location, the signal to it is not always reliable as with many properties in Cornwall and other rural areas. It may be intermittent but it will come back. The balcony is actually unsuitable for varnishing and we are advised by the owner that new bedding is bought regularly. 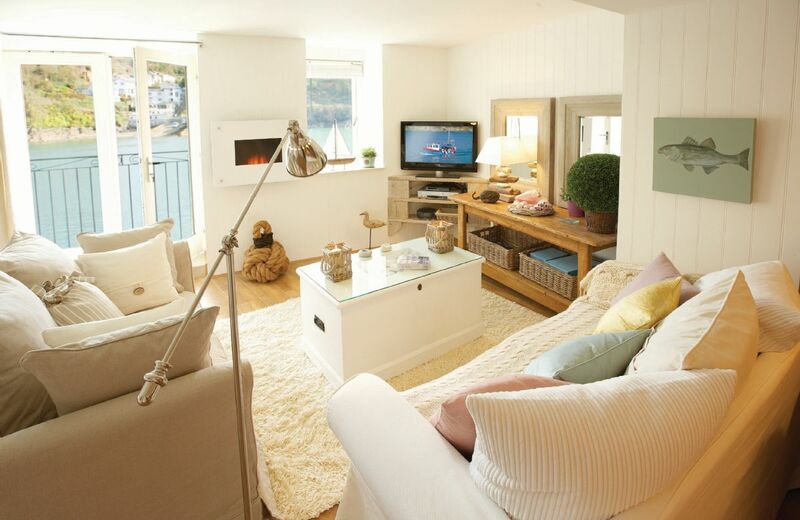 Stunning apartment very well equipped amazing views over the Fowey estuary. Could not fault it wonderful holiday. Good location and stylish apartment BUT cleanliness was not up to standard and welcome basket disappointing. Very comfortable, spotlessly clean, fantastic location. Excellent welcome pack and quality toiletries provided. Building noise and ferry noise ruined our holiday. at Barnacles. Lovely spot only ruined by noise. Fowey is indeed pretty and the views from Barnacles are fabulous. There is building work a long way away across the water which doesnt actually affect the property and the ferry is, of course, part of river life. The apartment was excellent , unfortunately I had to leave early as I had a family emergency. Thank you for your feedback. I am so sorry you had to leave Barnacles early - your payment, of course, crossed with this review. Great location in a beautiful village. Will definitely be returning. The welcome hamper set us up for two days of breakfasts, which was ideal as the deck is bathed in sunshine in the morning. Loads of great places to eat out nearby if you don't fancy cooking. Don't be put off by comments about the ferry. It's a great spot to relax and watch the world go by including the two resident swans who are very friendly. My tip would also be to get a Cornwall Council parking pass for the week and use Caffa Mill. Good tip for parking access is to avoid driving through the village and use the Bodinnick Ferry road. Only do this after you've unloaded the car though as there's a one way system. Perfect for a romantic getaway for relaxing break for one. Perfect for a romantic getaway or a relaxing break for one. Amazing little romantic getaway for two, loved the welcome hamper, and the views are stunning. Only missed out on 5 star because one of the LED lights wasn’t working in the bathroom and the lack of natural light meant it was pretty dark in there, but that is one minor flaw in an otherwise fantastic stay, highly recommend. An excellent place to stay in Fowey! Spotlessly clean, beautifully furnished and a lovely location. Just perfect. Location and decor are charming. However, the mattress was very saggy and unpleasant to sleep on! This is a nice apartment for which a lot of thought has gone into the design - it's very comfortable for two. We found a nice welcome pack upon our arrival, and the apartment had everything that you might need (home from home) for a comfortable stay. However, be aware that the Bodinnick car ferry crosses the estuary outside your window (and sun balcony) all day and is noisy enough to be intrusive when the windows are open. The apartment is only a five minute walk away from the town centre and the many cafes and restaurants, and is also conveniently situated near the Caffa Mill car park. We found that a number of amenities in the apartment were not working which took the shine off what would have been a first class stay - made more annoying because we were staying for a few days on a wet Spring weekend and wanted to use them (electric fire, dishwasher, DVD player and broadband). We think that this apartment is expensive, but we booked because we wanted something special. This is the first time that we have felt we have not had value for money from an AirB&B booking. Thank you for your feedback and great comments about Barnacles. The car ferry does cross the estuary and other boats go past too but this is of course part of being on the river all of which we enjoy watching when we sit on the balcony. The dishwasher, DVD player and broadband are all working and we are looking into the fire. 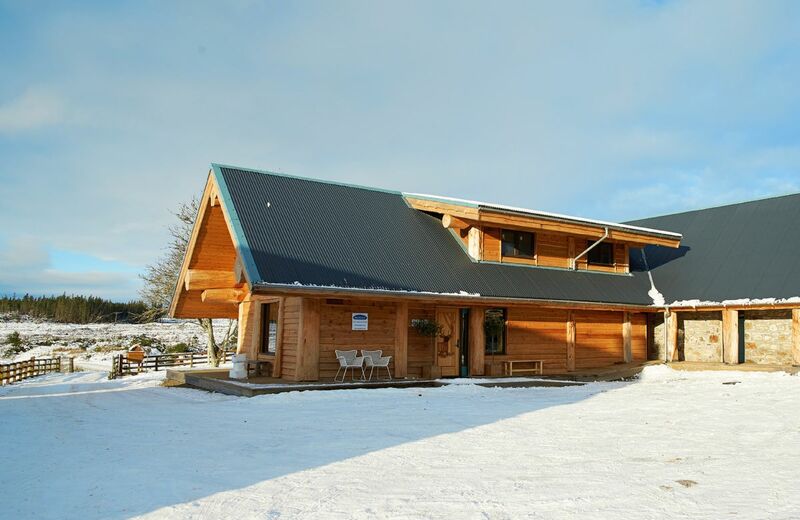 A great location, well equipped and very cosy, even in the snow! A great location right on the river, with stunning views , perfect for watching the comings and goings of boats,ferry and even the local gig teams training! Ideally situated for restaurants and shops and fabulous walks on the doorstep. Car parking close by was easy to book for the duration of our stay. Lovely place with everything we needed (although couple of things in need of attention, not anything that spoilt our stay though!) Thank you. 5 star facilities and beautiful setting overlooking estuary . Very cosy for 2 and comfortable . Second time we have stayed there . 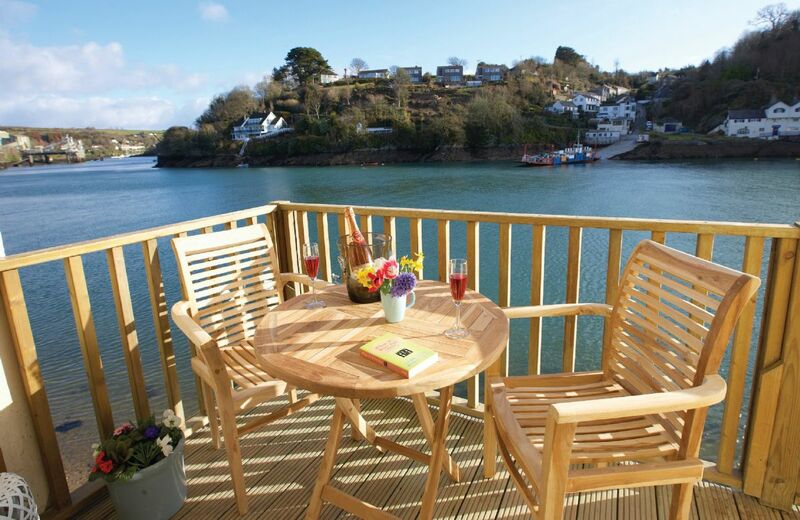 The perfect romantic hideaway for two, Barnacles in Fowey has undergone an extensive refurbishment and is now a perfectly snug and luxurious retreat. A waterfront apartment, it has steps leading down to the sandy water’s edge with a mooring for a small boat/dinghy. Very high standard of furnishings, cleanliness, amenities even by Rural Retreats standards. Great location. Owner very welcoming yet discreet. Excellent attention to detail by the owner(Gayle) and just the right amount of attention and giving us privacy. Cottage a bit remote however and access roads around very narrow and in poor condition. Would highly recommend this cottage , provided it was a suitable location for your venue or destination ( in our case Great Malvern Show). Make sure your sat nav is up todate for this location. Superb cottage every need catered for. Great hosts very welcoming and pleasant. Would strongly recommend this cottage to anyone. Many thanks to Gayle and Steve for a wonderful 3 days. The cottage was so lovely - everything we could have wanted. Clean and beautiful. Sadly, my partner had a fall whilst we were there and we had to leave to get home for some medical treatment for him. Mrs Hints could not have been kinder - a lovely person. Such a great place, such unbelievable scenery, especially in autumn with the leaves changing colour. What a lovely review , thank you so much. We do hope your partner is feeling better. Well appointed in a perfect location. Generous and welcoming owner. Spacious, comfortable and well equipped cottage. The property is beautifully furnished and a delight to be in both inside and out. We were welcomed with an excellent food hamper. We had a lovely few days here, the location is really peaceful and relaxing. The property was stunning could never get tired at that view. Gayle and Steve are the perfect hosts. Thank you for your lovely review of Blacksmiths Cottage. Absolutely stunning cottage , the pictures on the website do not do it justice! We were very warmly welcomed and had the most peaceful , pleasant experience. We would definitely return here. Thank you ! Beautifully presented cottage in delightful setting. Warm welcome from helpful and friendly hostess. A lovely cottage, very well equipped. We had a great time and would highly recommend a stay at Blacksmiths Cottage. Overall very happy. Cottage was well stocked and provided everything needed. Our 2nd visit and it will not be our last.A wonderful peaceful retreat,beautifully appointed,lovely host,nothing too much trouble but not intrusive.Spotlessly clean and a really comfortable lounge to relax in. Supe location and well appointed cottage. Our hosts were very welcoming and helpful. Very nice cottage in a beautiful location. Warm welcome. Very good cottage with excellent features and presentation including really comfortable sofa and chair. Very impressive ........ everything we needed to make a luxurious stay in a beautiful unspoilt part of the country . This detached barn conversion is located near Presteigne in a secluded valley on the borders of Wales, Herefordshire and Shropshire. It offers spacious accommodation on a single level. Locally there are many countryside walks and two bicycles are included. For holidays taken between 24 February 2019 And 30 April 2019 Minimum of 3 nights booking. Just wonderful. Lovely barn, lovely hosts and lovely area. Will defintitely return. Fantastic find! Luxurious property with everything we needed and more. Have already recommended to family and friends and lovely owners. Thanks. 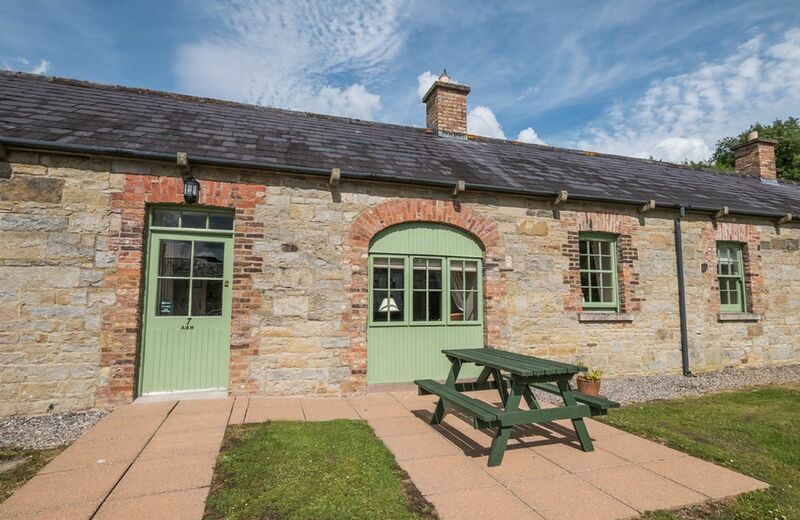 A beautifully appointed cottage in a lovely part of the country. Perfect for a relaxing break. It was in a lovely spot; the view from the barn of fields and trees was delightful and we enjoyed watching the sun go down over the hill beyond each evening. The barn has a lovely modern bathroom and kitchen equipped with everything we needed, and all was beautifully clean. It had a lovely atmosphere with all the lamps and little lights lit in the evening. The flower arrangements were a nice touch. The owners nearby were very welcoming and helpful with information about the local area, but otherwise unobtrusive. Absolutely stunning! A beautiful peaceful location with lovely views across the fields. Ian and Avril are so welcoming and helpful. We will definitely be coming back. 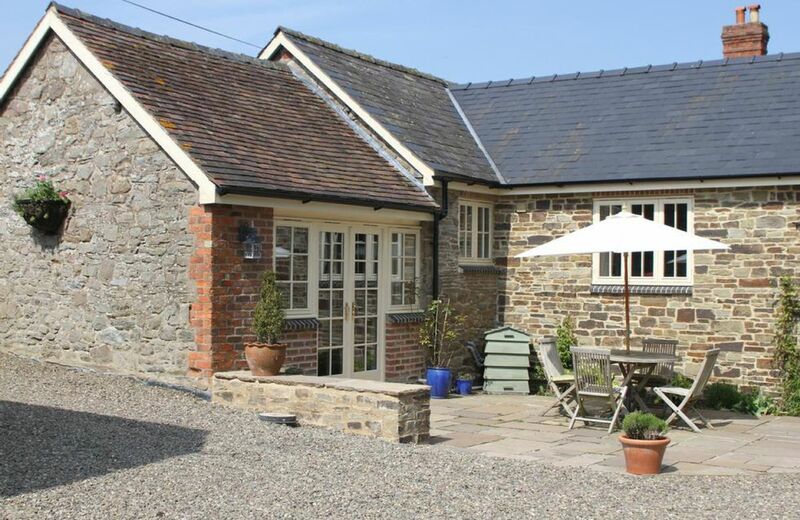 Broomers Barn is a beautiful, comfortable cottage situated in a lovely rural setting. The barn is well equipped and very easy to live in and the delightful owners are helpful and hospitable. Absolutely wonderful! The cottage was perfect, beautiful location and near to everything you need to be. The hospitality was 10/10 as well. What a wonderful week we have had starting with the glorious Broomers barn. It was so comfortable, well designed with all the facilities and luxuries needed for a week away. The evenings spent enjoying the last of the sunshine, wine glass in hand and listening to the birds and being entertained by the sheep only 5 metres away are etched in our minds for a long time. The hosts Ian and Avril were kind, helpful and caring with an excellent knowledge of the area and they also live on site. The barn is well located for local villages and towns (Ludlow and Leominster), National Trust properties and local walks to Richards Castle and along the Herefordshire Trail. Yes we had fantastic weather but even in inclement weather returning to the barn in the evening will certainly compensate I am sure. The fabulous reviews for Broomers Barn continue. Thank you so much for leaving yours. Stunning barn conversion! We had a really lovely time staying at Broomers Barn; absolutely everything had been thought about. The lovely welcome paper was perfect. The decor was excellent and everywhere was spotlessly clean (I I'm really picky!!). Our hosts were so friendly and welcoming. 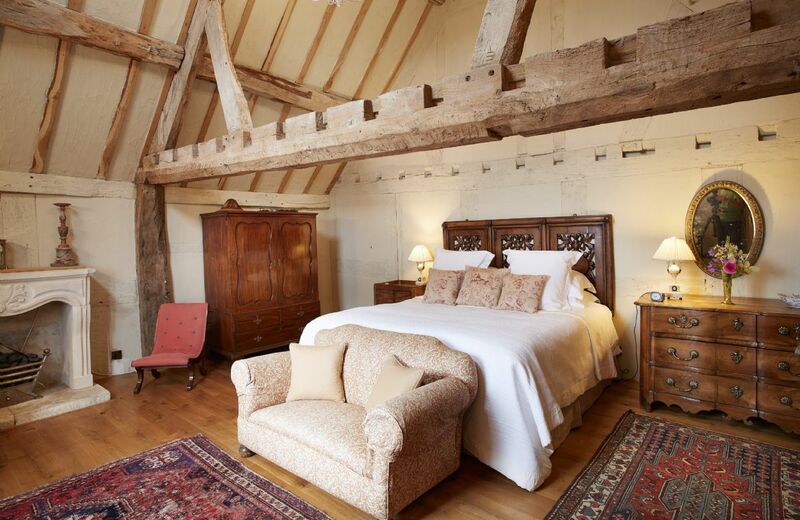 Last month we enjoyed an absolutely wonderful stay in the peaceful setting of Broomers Barn. As a mid-20’s couple unable to enjoy this type of luxury all year round, we were absolutely staggered by how beautiful and homely this cottage was in real life- the pictures really dont do it justice! We stopped here to celebrate my fiancées birthday, as well as our recent engagement. It felt as though every tiny detail had been considered, from the welcome hamper and gorgeous decor, to the cloud-like bed and the stunning ensuite. Combine this with the proximity to beautiful Ludlow and you have all the ingredients for the most relaxing stay. We can’t wait to come back already! Oh and honorable mention to Ian and April.. again their hospitality was really quite heartwarming and made us feel at home from the first second. We did a lot of research before booking here... trust us and make sure you do too! Thank you so much for leaving such fantastic comprehensive feedback for lovely Broomers Barn. We are delighted that you had such a good stay and many congratulations on your engagement. Excellent in every way. Reality was even better than what was advertised. Great attention to detail. Superb barn, beautiful, stylish and immaculate. The owners were as delightful as they were helpful. Lots of lovely personal treats too. Only issue was the wifi. If you earn enough to be able to afford a rural retreats holiday it is likely that you are going to have to pick up work emails. I had to drive into Ludlow library to work which was a bit stressful. Thank you for your lovely comments about your stay. Sorry the wifi did not meet your requirements for work. We are on the waiting list for BT infinity but it is unavailable to us at the moment due to our rural location, it will be fitted as soon as it is available. We do get up to 7Mb speeds but understand how frustrating the internet can be on occasions. The Barn was exceptionally clean, a beautiful location and an excellent hamper on arrival. We thoroughly enjoyed our stay. Another lovely review for Broomers Barn, thank you so much. We are delighted that you enjoyed your stay. Broomers Barn was excellent. The owners were very helpful and friendly and everything seemed to have been catered for. A truly delightful property with all the facilities we required in a perfect setting. It was one of the nicest we have ever stayed in. Ian & Avril were great hosts and the welcome hamper had some lovely extras. Modern barn conversion close to Ludlow with lovely countryside views. The property is spacious with all rooms decorated to a high standard. An excellent kitchen range and a bathroom with bath and a separate shower unit. Thoroughly recommended. The owners are a lovely couple and they made us feel very welcome without intruding on any privacy. Great property and really helpful and friendly owners. Cottage was perfect and had everything we needed. The owner gave us some recommendations regarding where to eat which was useful. 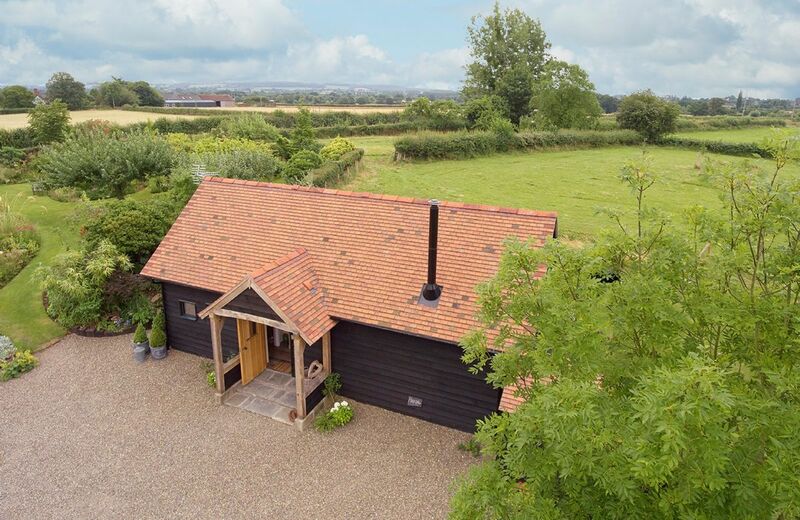 Broomers Barn is a beautifully appointed single storey, wooden-clad barn located in a very pretty and peaceful setting. 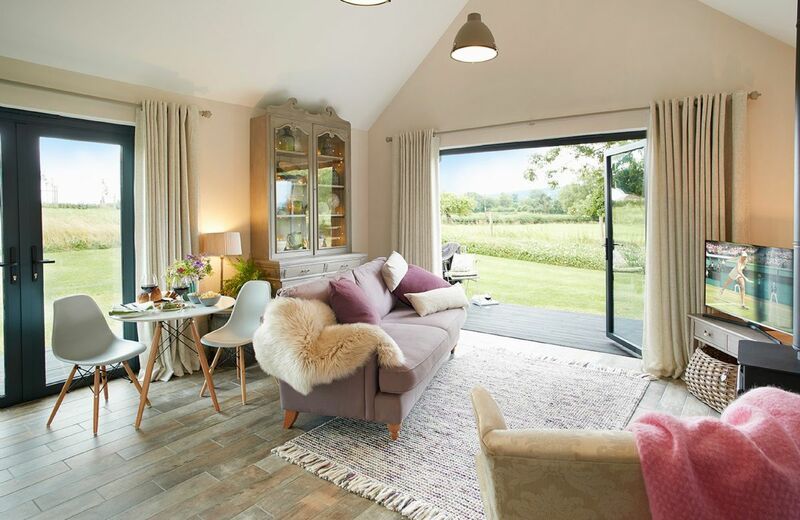 Full length bi-fold doors open up from the living space onto a private decked area and lawns with uninterrupted views over the surrounding countryside. Situated at the south end of the village of Richard’s Castle, approximately 3 miles from the gastronomic centre of Ludlow with its castle. The Cedar Tree is a little spot of perfection in a beautiful location. The hut itself was stunning and super cosy inside, it is extremely well equipped for a totally relaxing stay, just gorgeous. Jenny was the perfect host she went above and beyond with her kindness, on arrival we were greeted with a delicious hamper which was filled with homemade lemon drizzle cake, jam, fresh bread, eggs, butter, wine and you are invited to help yourself to the delicious raw milk as produced on the farm. 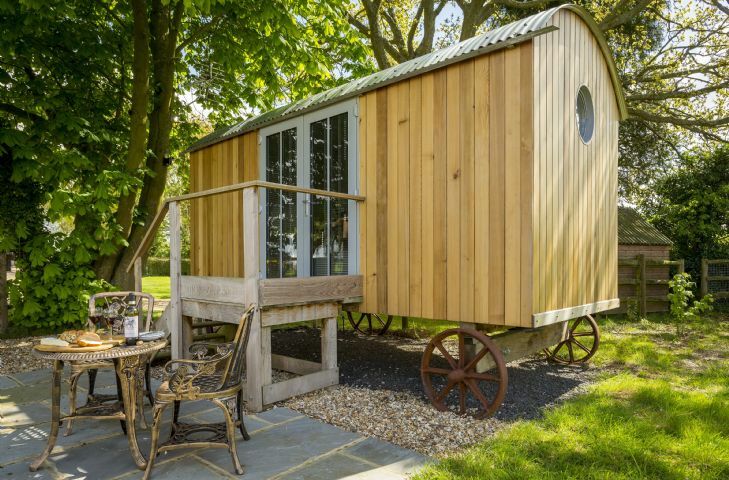 If your thinking of booking a shepherds hut, please don't let this one pass you by, you won't be disappointed, it's a little gem! What a wonderful review. Thank you so much. The Shepherds Hut was very clean and well-equipped. We had everything we needed there. Some people have commented about the road. Yes, the road is quite close to the shepherds hut but we seemed to be able to block out any noise and we live in the sticks!! It was great to be able to make use of the owner's heated pool. The owner was very helpful and she even made me a birthday cake as I was celebrating my birthday over the weekend. Lovely and quirky shepherds hut on a family run dairy farm. Great views and great walk to Bombay Sapphire Disstillery. The hut was perfect, didn't feel small for 2 people, and all of the utensils, plates, cutlery etc were already provided. Great scenery, and hosts. Only downside was the hot water in the shower didn't last too long, however give it 15-20 minutes and it's warm again. Will most likely visit again next year. Great, clean secluded experience! The stay was lovely but to be picky a bigger food hamper would have been marvelous, and WiFi within the hut would have been amazing. Thank you for leaving your feedback for our little gem Cedar Tree. As we say on our web page the welcome hamper here is slightly smaller than usual but it does include a farmhouse loaf with home-churned butter, milk from the farm, orange juice, eggs, homemade jam, cake, and a bottle of wine. The property was lovely, had everything you could need for a short stay, the only downside is the hut is very close to a busy road so there was quite a lot of noise which didn't make for a good nights sleep! What a nice little shepherd's hut. Everything was clean, comfortable and modern. Peaceful spot,handy location. Compact design but contained everything we needed.Modern and clean,all first class. 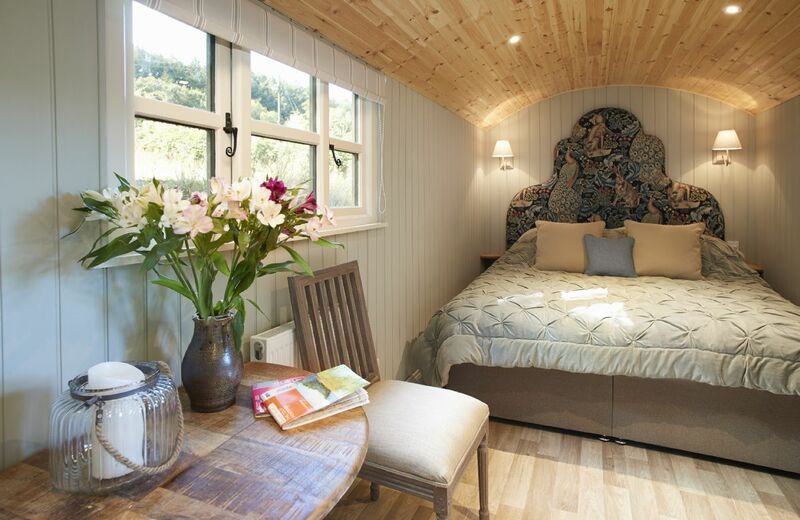 The shepherds hut was comprehensively equipped and could not have been bettered.A peaceful rural setting. Thank you for your lovely review of Cedar Tree. We are delighted that you were so pleased with our new shepherds hut. Cedar Tree may be small but it has everything you could wish for a holiday for two. 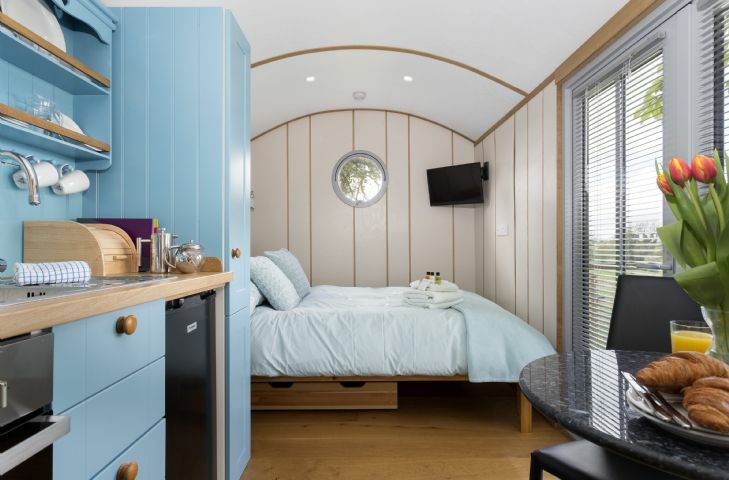 Set in the grounds of Peak House Farm, this delightful shepherd’s hut looks onto the North Wessex Downs and is only two miles away from the pretty country town of Whitchurch. Thank you so much for a lovely weekend in tranquil bliss! The cottage is perfect for a couple and it is very dog friendly as well (we brought our two small dogs). Ellie is lovely and an excellent baker! Would definitely recommend The Coach House. Very good - internet a bit hit and miss but otherwise can't complain. Lovely accommodation in beautiful setting. Absolutely fantastic location, cottage very comfortable with bucket fulls of charm and character. Owner, "Ellie" was available for any advice or assistance - don't change anything its fantastic, looking forward to our nest visit...… Perfect. Great location and lovely people. If I’m being critical the place is looking a bit tired and could do with a makeover! This cottage is a gem. Fabulously equipped with everything you could need. We had a very warm welcome from Ella & a well stocked goody basket & homemade cake. Super place for dogs, plenty of space. Unfortunately we didn't get very good weather , so didnt make full use of the gorgeous garden. We also made good use of local lady Hazel who provided lovely ready made meals, making the whole holiday relaxing. Lovely service from the host. The cottage is simply beautiful and worth every penny. Having holidayed with Rural Retreats before we expected the same quality of accommodation especially for the price paid. We were disappointed with the bathroom it really does need an update. The area however was lovely and will return but not to the Coach House. Thank you for your feedback. We are very sad that you were not happy at the Coach House which normally has really lovely reviews and we will pass on your comment about the bathroom. We had a wonderful stay and Ellie was so helpful in getting us safely to her cottage as we almost didn't make it due to the snow. The welcome hamper was a fantastic and the finishings inside the cottage were top class. Thank you for a lovely stay. The Coach House suited are needs perfectly. We particularly liked the spacious open plan layout. Our two dogs loved having their beds either side of the woodburner each night after our days out. The Coach House was very well equipped and the extensive welcome pack including a lovely home made cake was very much appreciated. We were able to walk the dogs each morning safely in the adjoining fields. Perfect retreat for our weekend away. Tasty, generous hamper & homemade cake to greet us. Lovely walks from the front door. Comfortable bed & cosy atmosphere. Very peaceful. Lovely cottage in a very nice location. Thank you we have had amazing time our two little doggies loved the walks and how peaceful the surroundings are very welcoming good selection dvds to watch on the night we went into Ludlow which was beautiful we had some amazing memories on the walk and ventures round the castle of Ludlow we even had a home baked cake on arrival which was yummy the bed is so comfortable and perfect facilities in kitchen and bathroom would 100% recommend for a break away from a busy lifestyle thank you again ! Wow. What lovely feedback. We are so pleased that you and your doggies had such a good time at The Coach House. Another wonderful review for the Coach House. Thank you so much. Loved the cottage, loved the area, very relaxed and very comfortable. We loved our holiday home for the week. Great location with a very friendly owner who spoilt us with a really useful hamper and scrummy cake on arrival. The Coach House is a good base to go exploring from and our dog certainly enjoyed his walks and watching the sheep! The decked balcony is an excellent sun trap and the secret Bothy is magical. We will definitely recommend to family and friends and hope to return. Keep up the good work Ellie. A magical little gem of a place! Clean, well equipped, private. Gorgeous views, friendly neighbour/owner, beautiful grounds to explore. Thank you for your lovely comprehensive review. This studio conversion is in the grounds of Fishpools, a 16th century house in the village of Kyre. Rated 4-star by the tourist board, it offers fantastic views across the countryside. It is 4 miles from the fine spa town of Tenbury Wells. 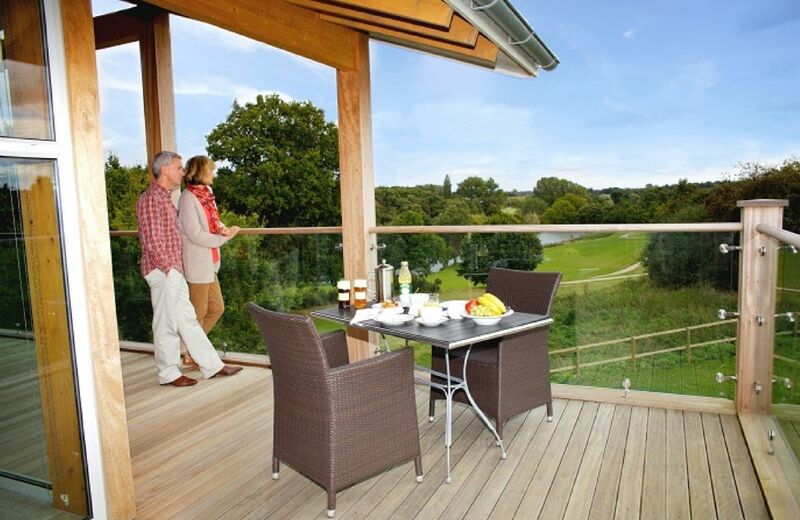 Crispin is one of four, one-bedroom country penthouse lodges located in the peaceful surroundings of Constable Country in Suffolk, in an Area of Outstanding Natural Beauty. Guests can enjoy complimentary use of excellent poolside and gym facilities, as well as discounted rates for spa days and golf on two onsite championship courses. Luxurious accommodation, beautiful garden, pleasant & friendly, approachable owners. Quiet, attractive location. Spectacular views, friendly hosts and amazing bathroom! Home made cake a lovely touch. A stunning place beautifully presented. Beautiful grounds and owners very gracious and friendly. Look forward to going back there again. Wonderful historic building and exceptional setting. Nowhere better to relax and enjoy the countryside. A beautiful old building in lovely grounds. Delightful experience, wonderful location. Old building with modern facilities. Loved the log fire, especially as we had snow for three days. Friendly welcome, including a home baked cake from Melissa. We hope to return sometime. Absolutely fantastic - wonderful location, gorgeous view and really lovely welcome and welcome hamper from the owners. A really romantic place. Utter bliss in terms of comfort, ambience, position, views and peace! Our stay was simply wonderful thanks to Melissa, our hamper and the flower arrangements, we shall definitely return. What wonderful well deserved feedback for gorgeous Elinor Fettiplace. Thank you so much. Beautiful surroundings and a lovely converted part of the house with very interesting history. Very comfortable, the wood burning stove was well used :). The hosts were very friendly and suggested a circular walk to Dymock which was an excellent way to spend a sunny cold day. Highly recommend a stay here. Excellent! A really warm welcome with a lovely hamper. Beautiful countryside and a lovely rural cottage with modern conveniences. Beautfiully appointed. the owners had taken great care and thought of everything. Lovely setting. Thank you for your lovely review for our special property Elinor Fettiplace. We had a magical time at this beautiful old manor. 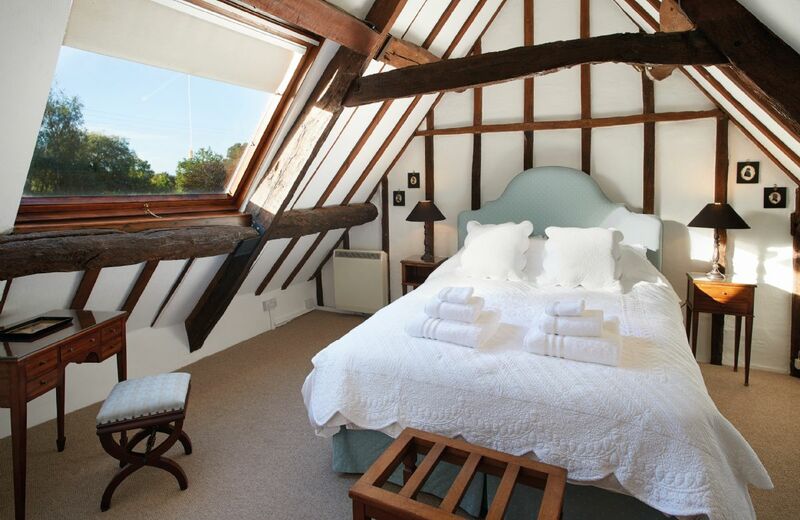 The accommodation was excellent and the bedroom was stunning, with its old beams and period features. Being able to sit out in, and wander through, the lovely gardens and play tennis every day was fabulous! 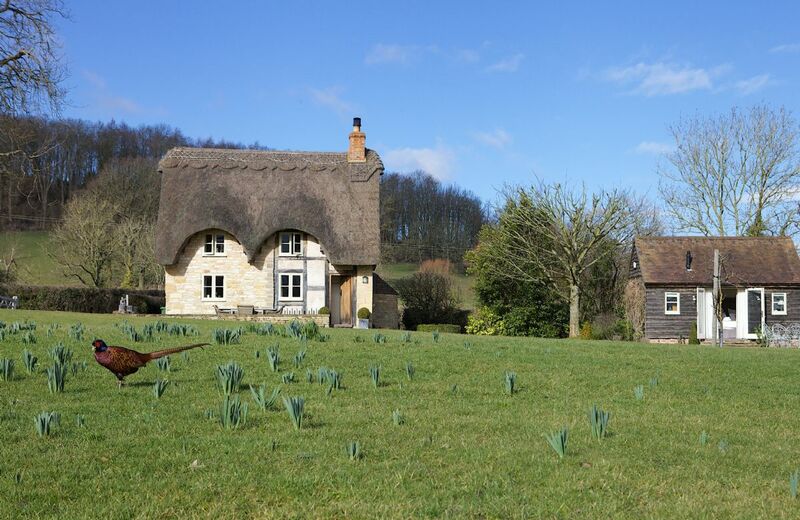 Elinor Fettiplace at Pauntley Court is an enchanting house in which to stay, situated in a stunning position overlooking the glorious Gloucestershire countryside. This luxurious romantic retreat is close to some of the best country and river walks in the Cotswolds and Malvern Hills. Really nice cottage in a really beautiful location. The only downside was that there wasn't sufficient heating, so we needed to put the fire all the time but the first night it was freezing in the bedroom. The following day, after calling Rural Retreats, the brought an electric heater that did the trick. Most importantly a glass screen MUST be fitted to the over-the-bath shower. The shower is brilliant but as it is so powerful, when used it turns the bathroom into a wet room. It is also, I suggest, dangerous as the water must seep through the wooden floor. A Grab Rail is needed on the stairs to the main bedroom. A couple of the light switches do not appear to do anything. On arrival there was a very pungent smell of soot/smoke which was difficult to eliminate. A rug on the kitchen flagstones would be good. Everything was perfect and thought about. Tin foil had run out but left a note for the house keeper but plenty of tea, coffee, sugar, toilet roll. Hamper was good for breakfast and afternoon tea. The cottage itself was just as we expected in terms of the facilities, with a superb welcome pack waiting for us. We were disappointed on the day of our arrival when frost was expected and occurred, that the heating had not been turned up more than just back ground - after a day of increasied settings, mastering the wood burner and buying a hot water bottle we were more comfortable! It should be pointed out that a couple of the bottom stairs are angled downwards which makes negotiating the bottom turn a challenge. We felt safer by holding on to the lintel above, but someone less agile might find it a bit awkward. Everything very good except the bathroom! The low beam is directly over the sink. And no shower and shower curtain/door either! The WC and sink could have been the other way round making the sink easier to use. Charming cottage, with a very well stocked hamper. Loved the location, a very good starting point in the Cotswolds! The cottage was adorable. The welcome basket was a lovely touch and very much appreciated. The upstairs shower was lacking some water pressure, which made washing a bit difficult. But other than that the property was stunning. Clean and charming and absolutely beautiful. So cozy, we would definitely come back. Surprised the precipitous stairs to the second bedroom were not given special mention. The hot water was a bit of an issue. The water got VERY hot, bordering on the dangerous and the hot tap for the bath was very slow, so slow it took over an hour to run enough water to have a bath. The hand held shower couldn't be used, the water didn't make it down the hose. However it was a lovely cottage and we thoroughly enjoyed our 3 days. The hamper was second to none! There was no hot water the evening I arrived as the hot water tank had been turned off. Took a couple of hours even with the boost on to get hot water. Not a great welcome after s long journey and long day at work. Otherwise the cottage was very lovely. 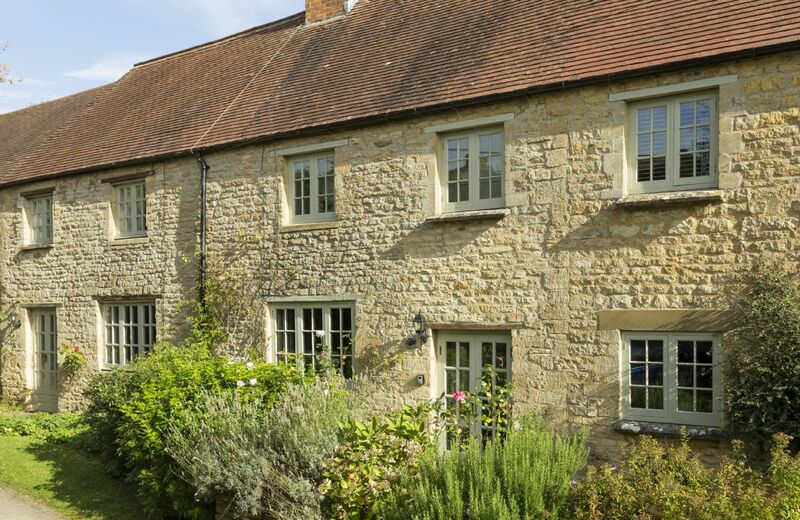 This pretty mid-terrace cottage built from classic Cotswold stone has many charming period features including flagstone floors, an inglenook fireplace with wood burning stove and exposed beams. Situated in the heart of the picturesque village of Broadwell, it is the perfect setting to experience the beauty of the Cotswolds. For holidays taken between 7 May 2019 And 31 May 2019 Minimum of 3 nights booking. had a better location for peace, beauty and wildlife. The owner truly cared about your stay and your comfort. The cottage is beautifully furnished and the welcome hamper was full of local produce. The location is idyllic surrounded by beautiful walks. We loved the cottage - we were there when the daffodils were flowering which were particularly spectacular!!! Field cottage is in a really lovely setting - fantastic views and a beautiful garden. The village is lovely - with a great pub in walking distance. We had a really wonderful time. Fantastic place. Can't wait to go back. Totally idyllic, with lovely walks and also a pub with excellent food and great friendly staff and locals really close by. The owner was more than accommodating, going above and beyond when I contacted her, (for very minor help), even whilst she was on holiday herself in Cornwall and then after seven o'clock on a Saturday evening! I can't praise her and the lady who took our last minute booking at Rural Retreats highly enough, (as we went to the cottage the same day we booked it!) . Exceptional service. The cottage was pristine, with everything you need and we loved the hamper. What a fabulous review for Field Cottage. Thank you so much. We are so pleased that we were able to make the last minute booking for you and that you had such a great time in Elmley Castle. This property is beautiful. Set in gorgeous grounds it feels like it is in the middle of nowhere, which is just what we wanted.However it is also not too far from a number of pubs which was great. The property is beautifully decorated and fully equipped and is the perfect combination of modern convenience and old world charm. We did not want to leave! It would have been a definite 5 were it not for 1 small detail. First was that we did not receive information on where to find the key and there was no contact number provided so we had to call the main office to get into the property. Not a huge deal but we were patiently waiting for 30 minutes before we called and it would have been quite a disaster had no one been in the office. Thank you for your feedback. I am delighted that you enjoyed our lovely Field Cottage however I am sorry about the key issue. An email is automatically generated 5 days before a holiday with the arrival guide and although it says that your email was sent there must have been a hitch somewhere. Amazing, romantic, break in the beautiful countryside, PERFECT! What wonderful feedback. We are delighted you had such a lovely time. Perfect cottage in an idyllic setting. Cannot be faulted. Beautiful cottage and gorgeous welcome pack. But it was very expensive! Loved the cottage; the location and the condition. Highly recommended. Only one point of note; the upstairs radiator needs bleeding; there is a lot of air in the system and this radiator was largely cold. Kept to the highest of standards, this is the perfect cottage in a perfect location. The cottage is beautiful - a bucolic idyll. Everything was clean and welcoming. We had a very peaceful couple of days and would like to stay again. 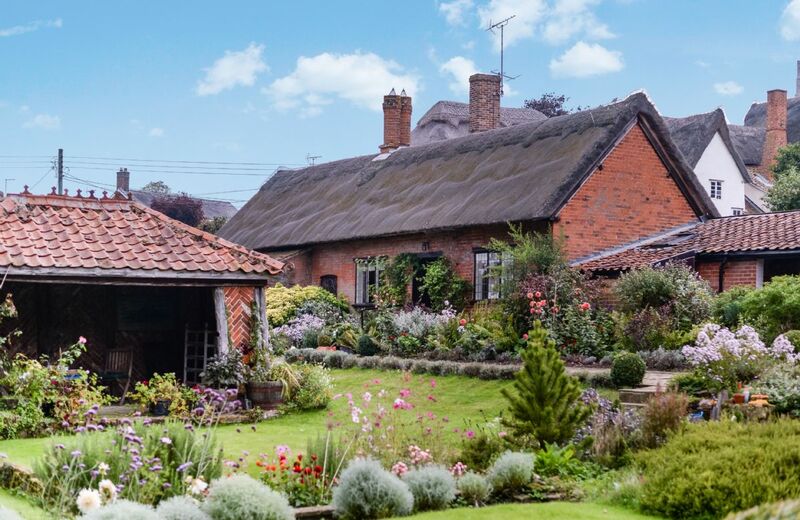 Set on the slopes of Bredon Hill in an idyllic location, this picture book stone thatched cottage retains many period features. It enjoys beautiful views and is situated on the edge of the charming village of Elmley Castle. Sleeping two guests in the cottage with the option of a further two within the next door annexe. 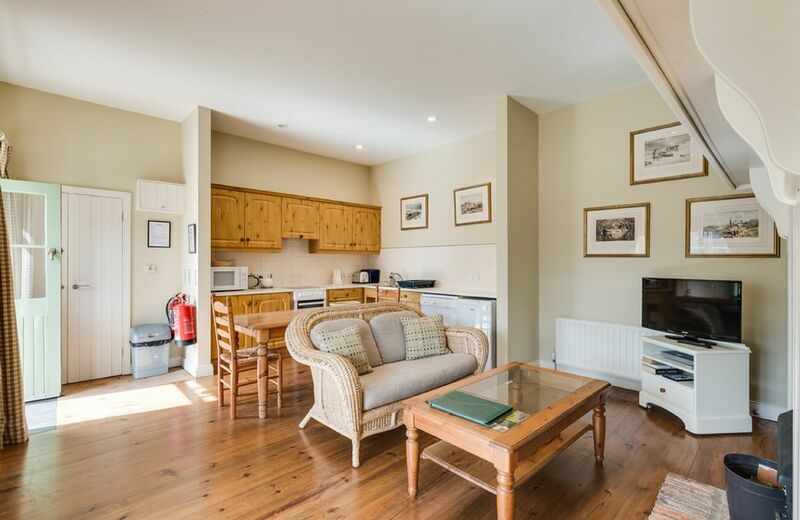 Lovely lodge and location furnished to a high standard. Unfortunately the lodge was cold on our arrival, not a cosy welcome on a chilly, blustery afternoon - when reported to the owner totally blanked the situation. Also some sundry items which were listed not provided i.e. kitchen roll, cloths, cling film which was annoying in a 5 star advertised self-catering property. Otherwise a very pleasant stay. The garden lodge was absolutely beautiful and Jo was an amazing host. She cooked us a fabulous romantic meal and made Colin a cake for his birthday. We will definitely be returning. Very clean and a good location.Ideal for a weekend but a bit cramped for a week ie very small breakfast bar and only a folding table if weather bad.And no chest of drawers to put your clothes in. Great location. Really nice lodge that made us want to live in one. Jo was a great host and really looked after us. We will be going back for sure. The lodge was perfect in size and style, the location was quiet and hidden away but only a short drive to get anywhere needed. Superb hospitality from Jo, the Lodge is in a peaceful but central location. It's very cosy, but well equipped for a short break. We were there for the walking, but the weather was a really cold and wet, so we only managed a few shorter walks. However, on our return the Lodge was lovely and warm and welcoming. My only slight criticism (and this is personal taste) is that the bed was on the firm side. This is a perfect hide away, it is well equipped and cozy. The owner, Jo, could not be more friendly and helpful. 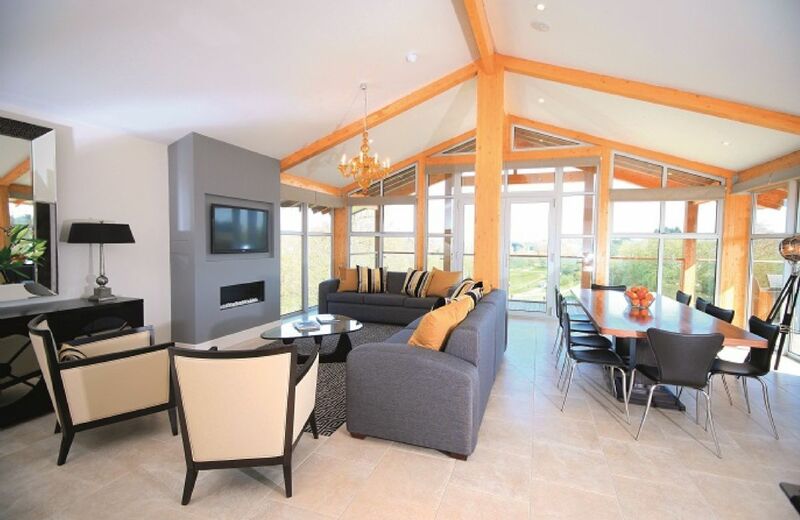 We would recommend this lodge to anyone wanting a peaceful holiday and will definitely be returning. 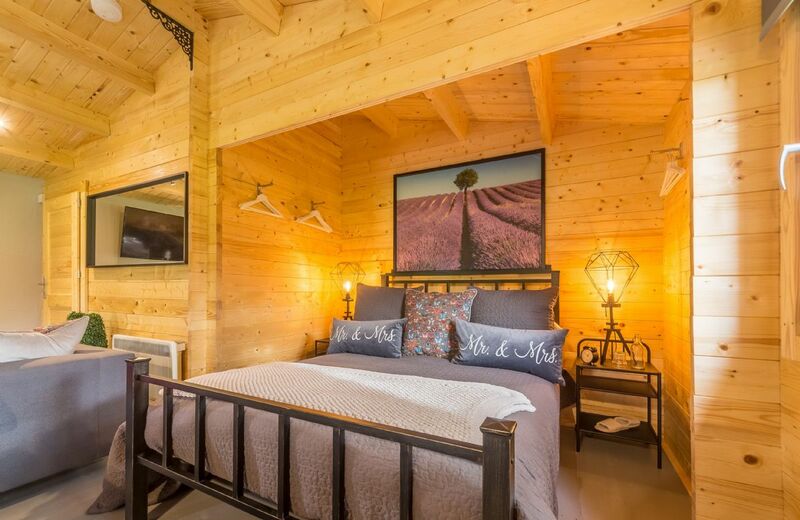 The photographs of this beautiful wooden lodge give you a very accurate impression of what to expect. While close to the main house on the estate, the lodge is very private and completely self-contained. It’s warm (and we were there in February!) with comfortable furniture and there’s an attention to detail in the décor, equipment and provisions. Our host, Jo, was really welcoming and friendly with lots of recommendations for places to eat and things to do. Close to Lewes and the South Downs National Park, it’s only ever a short drive from the lodge to somewhere interesting. For us, one of the best things was sitting outside by the fire-pit under a very starry sky listening to the owls and other night birds. By day, the surrounding fields and paddocks are full of rabbits and pheasants. A haven for city-dwellers and one that was hard to leave behind. 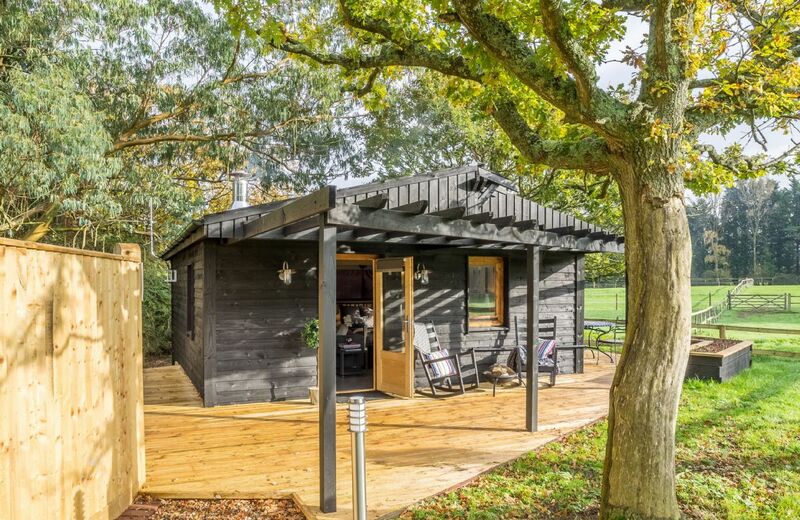 Garden Lodge at Broadacres is a stylish retreat for couples looking to escape to the Sussex countryside. There are many good pubs nearby and the village of Ripe is within walking distance with an excellent village shop and deli. This secluded cottage is part of a small working farm high above Bodnant Gardens and two miles from the village of Eglwysbach. 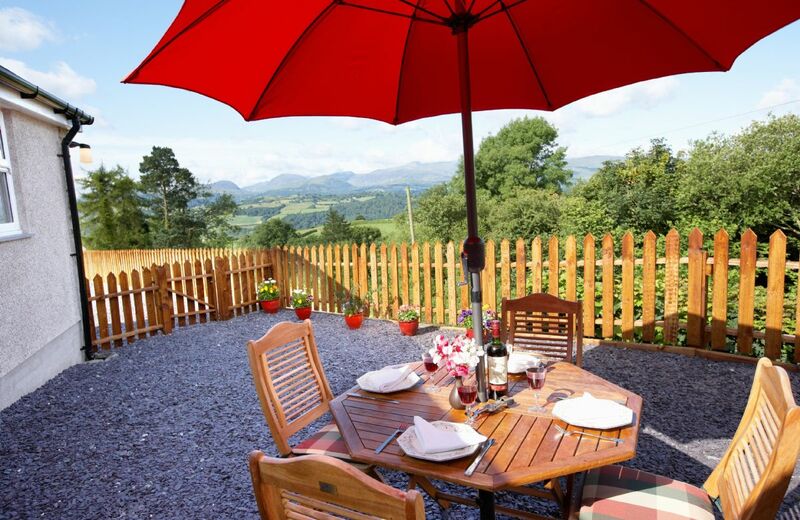 It enjoys stunning views of Snowdonia National Park and is well situated for walks and visiting local attractions. Delightful immaculate cottage. Alas no washing machine or dishwasher Fridge on the floor - not good for bad backs! Had a really nice stay. Would come back again. Nice little cottage. Extremely nice, very high standard. No complaints at all. Cottage was typical of "The Cotswolds" - quaint but quirky, immaculate, extremely quiet, ideal for a retreat and we wanted for nothing. Welcome hamper was superb and oh the TV was fab with Netflix etc etc. Would definitely go again. Everything was perfect location, accommodation ,cleanliness, welcome package friendly owners! Could not ask for more! Lovely cottage situated in a quiet location (Idbury) but ideally placed to easily explore the wonderful Cotswolds. Cosy, comfortable, charming, full of character, quintessentially Cotswold! A perfect ending to our 9 days touring the country roads and quaint villages of the Cotswolds. 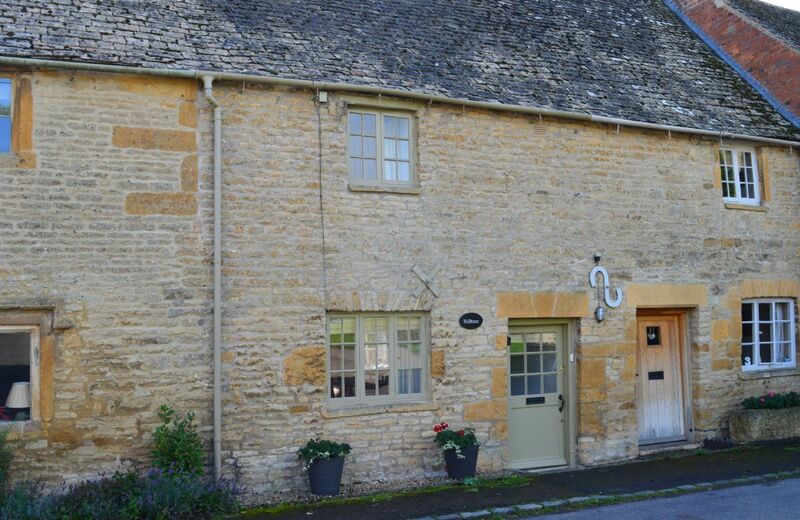 It is an absolutely sweet charming cottage in a very central location, close to the main sightseeing places of the Cotswolds, but in a sleepy and quiet village. 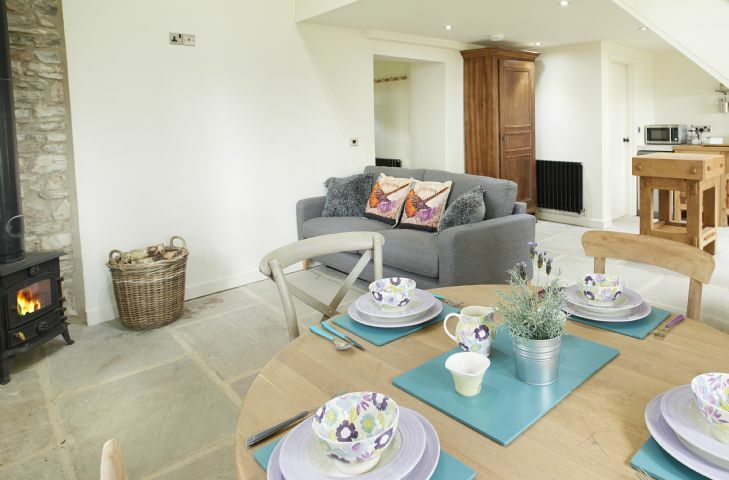 The cottage is furnished tastefully and with love to lovely details. We loved to spend our time in the winter garden: for breakfast or just enjoying a glass of wine. And additional plus points for location is its proximity (just 10 minutes walk) to my absolutely favorite restaurant in the Cotswolds: The Feathered Nest - it's a must to visit being in this area! Thank you for a great place for our stay in the Cotswolds. We couldn’t find fault with anything. The usual high standard of decor, cleanliness, the very much appreciated welcome basket, the pretty garden. The only thing I would suggest is a small electric hot air heater for the conservatory which was chilly in the mornings for breakfast and you don’t necessarily want to heat the whole house. Many thanks for your great feedback. I am delighted that you were so happy with Garsons Cottage and I have passed on your suggestion. Lovely comfortable cottage. Small kitchen however, more suited to just having breakfast and snacks rather than cooking a full meal. A wonderful cottage and very well appointed. And a welcoming host who we thoroughly enjoyed meeting. Great and quiet location to visit the Cotswolds. Highly recommended. 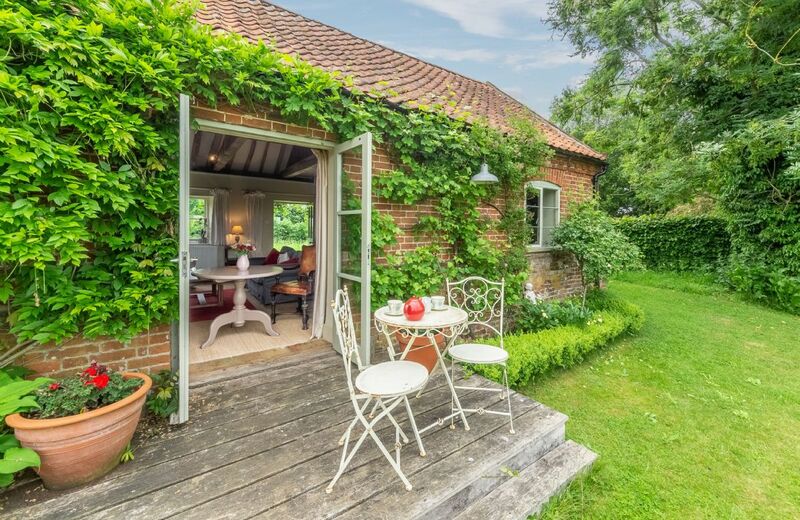 Small, but beautifully refurbished and cosy cottage. Warm & well equipped with exceptional welcome hamper - one of the best we’ve had. Quiet too, but well positioned for Burford and Stow. The wonderful feedback for our little gem Garsons Cottage continue. Thank you for taking the trouble to leave yours. 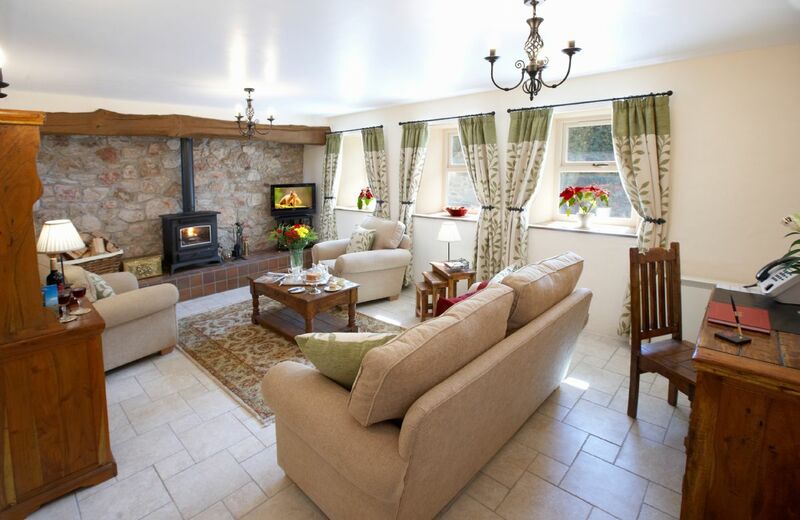 A beautiful cottage for a relaxing stay in a stunning area. We love the sun room, a perfect place for breakfast whilst watching the birds in the garden! Everything we needed was there. Loved it. Spot on. Tip top. Do it all over again. a lovely cottage in a super location down a lane leading onto a walk across the fields. Really good pubs only 2 to 3 miles away. Garsons Cottage always get such great feedback - thank you for leaving yours. Excellent and can highly recommend.. This delightful stone cottage is nestled down a quiet country lane in the conservation village of Idbury in the Cotswolds Hills. The village is surrounded by pastoral countryside with views across the Windrush Valley and footpaths can be found in all directions from the front door. For holidays taken between 15 April 2019 And 27 May 2019 Minimum of 3 nights booking.